How to easily integrate MyEclipse and Grails without having to experiment endlessly to painfully merge the two. Being a fan of MyEclipse, I've been in a rough spot this past year, as my current assignment uses Grails, and "GGTS Plugin" cannot be smoothly integrated with MyEclipse. However, I still need MyEclipse to do some other stuff. Sometimes, I need to integrate both of them using some complex tricks and customizations. Finally, with the latest release of MyEclipse, I found some smooth steps with which these two can work together perfectly and my pain can be gone. 1. 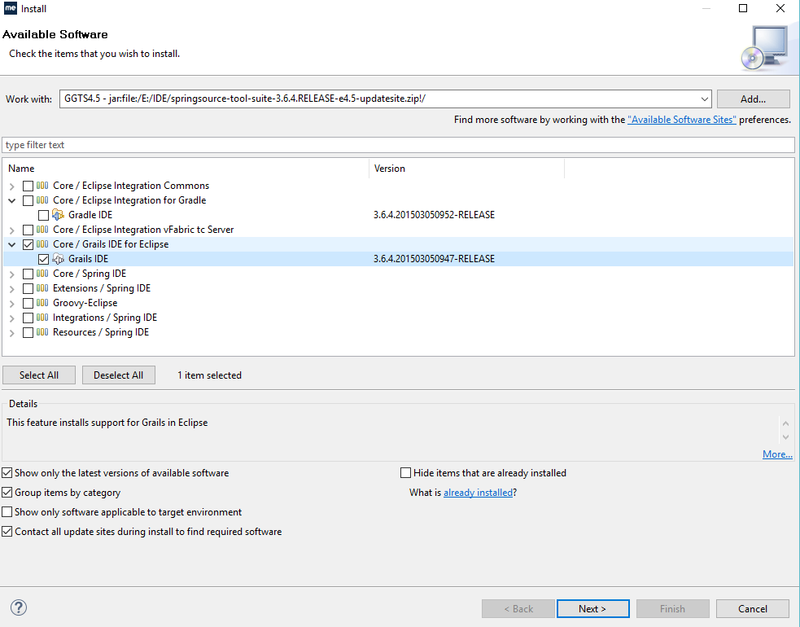 Download and install MyEclipse 2016 edition. 2. Go to 'Install from Site' option from Help menu. 3. 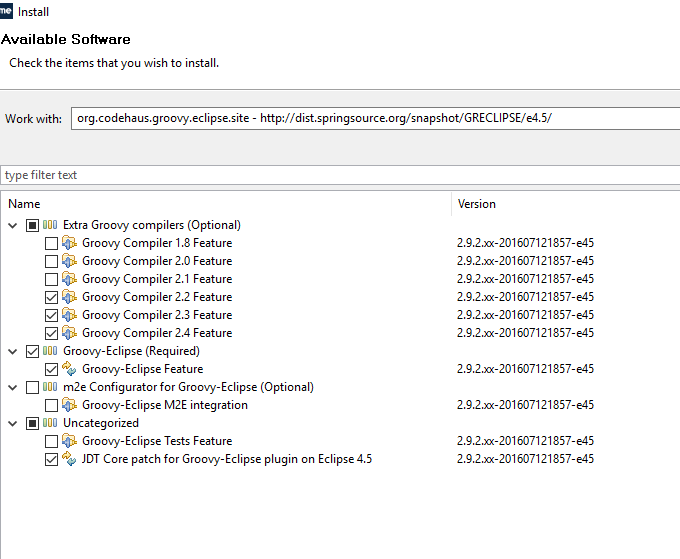 Add site http://dist.springsource.org/snapshot/GRECLIPSE/e4.5/ to get GREECLIPSE first. Select the Required components and JDT Core Patch. You can add groovy complilers if you need to, as shown in the picture. 5. 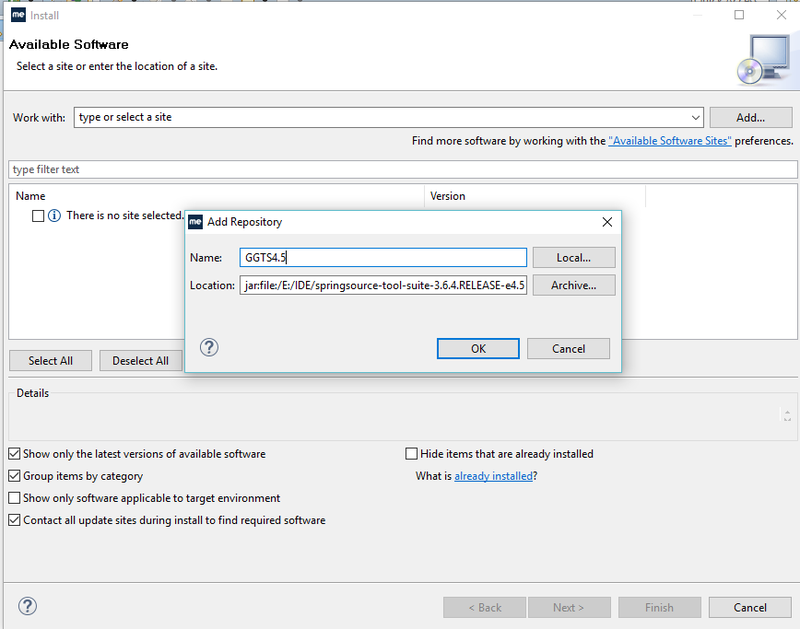 At the 'Install from Site' option, add the downloaded Zip file as Archive and click OK. Then choose only "Grails IDE" and install it as shown in the picture below and you are done!